The Environmental Protection Division (EPD), Wastewater Regulatory Program has been delegated the authority by the Environmental Protection Agency (EPA) to administer permits for the treatment and disposal of domestic and industrial wastewater under the Clean Water Act. A permit is required from EPD for any facility that intends to discharge, land apply, or inject wastewater or fluid within the State. EPD offers four types of permits based on the method of disposal utilized by a facility as shown in the following table. More information on each type of permit, including types of dischargers, the application process, and permit requirements, can be found at the corresponding links. Beyond simply the method of disposal, permit classifications are further based on whether the source of the influent is domestic or industrial, whether it is an individual or a general permit, and finally as either a major or minor facility. Despite the varying classifications, however, all types of permits contain similar requirements for the conditions of operation/treatment and reporting, as well as certain standard conditions. Individual permits may be issued for NPDES, LAS, Industrial Pretreatment, and UIC discharges and may be issued to public and private facilities. These permits provide site specific effluent limitations based on the individual processes of the facility, the specific receiving stream designated uses, any applicable State and Federal Regulations, water quality standards, or drinking water standards. Each facility is required to submit its own application package and will be issued an individual permit. If you would like to receive an individual permit, individual permit applications & forms can be found here. A selection of NPDES and LAS General Permits has been created to cover multiple facilities with similar operations. Please visit the following link to learn more about the differences between Individual and General Permits and to review the NPDES and LAS General Permits available. If you already know the General Permit under which you would like to receive coverage, General Permit forms can be found here. 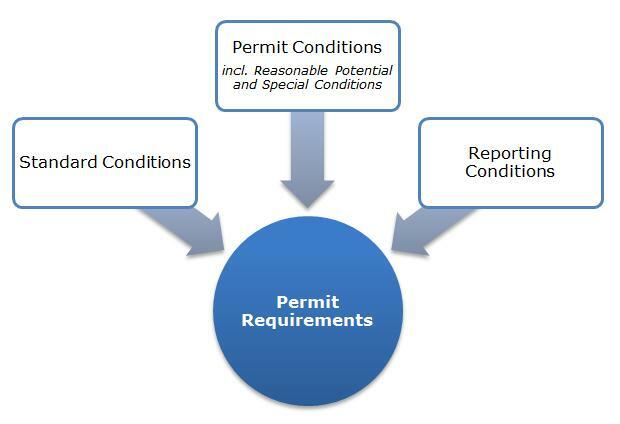 While the process and requirements for obtaining each type of permit are unique, all EPD wastewater permits contain similar conditions to ensure the protection of water quality in the State for fishing, recreation, and drinking water. These conditions are classified based on standards, permitting, and reporting. Each of the permit pages further defines these conditions; however, specific information on permit conditions and reporting conditions may also be found at the corresponding link.